St. Monica Catholic High School offers unique and amazing retreat opportunities at all grade levels. Freshmen begin with a day of prayer, retreat and faith development on campus and end the day with lunch on the bluff overlooking the ocean and activities on the beautiful beach of Santa Monica. This year, Sophomore will spend St. Monica Catholic High School offers unique and amazing retreat opportunities at all grade levels. Freshmen begin with a day of prayer, retreat and faith development on campus and end the day with lunch on the bluff overlooking the ocean and activities on the beautiful beach of Santa Monica. This year, Sophomore will spend the morning in doing service at Operation Gratitude a non-profit organization that sends care packages and a variety of other good to US Troops, Vets, First Responders, and caregivers. The second half of the day we will spend reflecting on how we are called to serve. 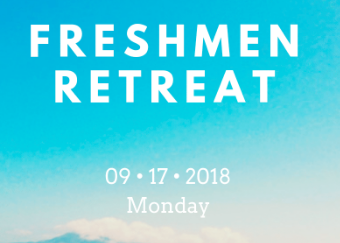 Junior year, students have their first overnight retreat opportunity: Our Juniors are able to sign up to attend a 3 day, 2 night retreat at Forest Home Retreat Center in Ojai. This retreat has been a favorite for students for decades. Kairos is the senior year overnight retreat opportunity available exclusively for Seniors. The Kairos retreat is a faith formation experience with explores relationships with God, the retreatants and others. Our pastor Monsignor Torgerson describes this experience as "One of the best things that we offer our students while here at St. Monica." This retreat is a special experience of "God's Time." Juniors and Seniors who choose not to attend the overnight retreat opportunities are able to attend a day retreat in March. Freshman Retreat will be held off campus at Camp Gilmore in Calabasas. This retreat is lead and coordinated by our senior Campus Ministers. The focus of the retreat is to allow the Class of 2022 to get to know one another better and form meaningful and lasting friendships, which they carry with them throughout their entire high school experience. We are looking forward to this day filled with friends, fellowship, and faith. Check out Schoology or the attachments below to download a copy of the permission form. 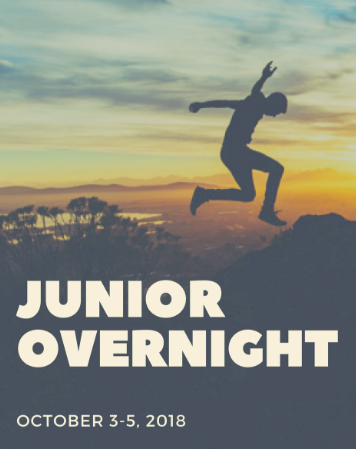 Our first Junior Overnight Retreat will take place October 3-5, 2018 at The Oaks Camp and Conference Center. The retreat is lead and coordinated by our senior Campus Ministers. This retreat will focus on building trust within ourselves and others. We hope this retreat will positively challenge the junior class to step out of their comfort zone and try new things. We will have many opportunities to meet in small groups and also have the opportunity to gather as a large group in prayer and Mass. If your son/daughter cannot attend this first Junior Overnight Retreat we look forward to seeing them on the second opportunity February 13-15, 2019. IF YOUR SON/DAUGHTER ARE PLANNING ON ATTENDING THE OCTOBER RETREAT PLEASE SUBMIT PERMISSION FORM AND DEPOSIT OR FULL PAYMENT BY THURSDAY, SEPTEMBER 13, 2018 TO MS. GARCIA IN CAMPUS MINISTRY. Please reach out to Ms. Garcia if you need to arrange a payment plan. For more details regarding the retreat please check Schoology or the attachments below to download a copy of the permission form.